So the purpose of this hop is to give you ideas for your Moms day cards!!! 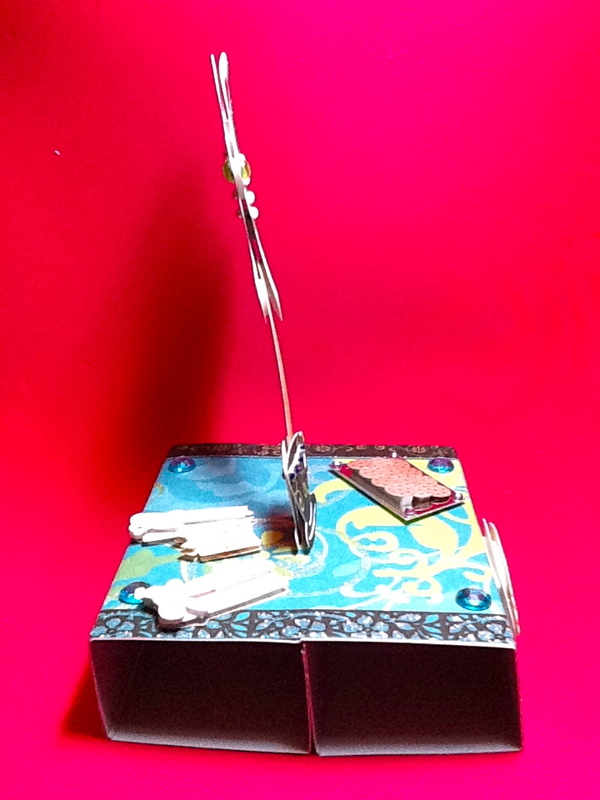 So without further ado, here’s my card…. This image just seemed like a big giant snuggle hug, which seemed appropriate for a Mom’s Day card, because Mom deserves a big hug!! I colored the image with my copics. The paper was all out of my stash. 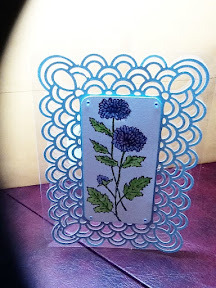 I used my cuttlebug – Swiss dots & d’vine swirls. I used some gems, and popped up the bear. Used white gel pen to give it more pizzazz. 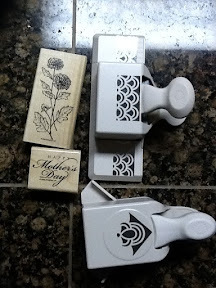 Stamps are stampin up. Of course I have blog candy, because what’s a blog hop without presents??? If you’re new to my blog, be sure to become a follower. What’s the prize? I’ll give away a copy of the Crafty Card Gallery – an iPhone app (works on iPad and iPod Touch) that is now available for Android Phones. 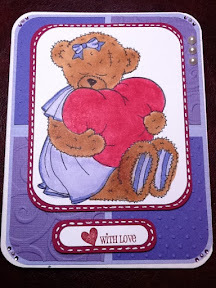 It is a card gallery for handmade cards. You can follow great designers, and look for ideas. It’s updated monthly so there’s always new great content for you… New update will be released soon – I’m just now putting the finishing touches on it! How to enter to win? Become a follower and leave a comment. I will select the winners Monday night (5/2) using my random number generator app from all comments for this hop (app) and all comments for the weekend (bite size body guide)…. Thanks so much for visiting & have a great weekend! 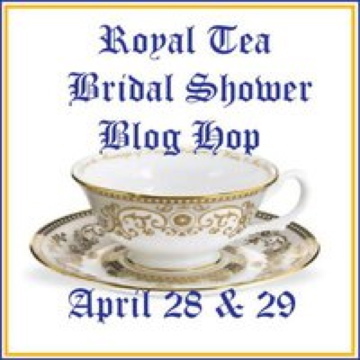 Hi and welcome to the “Royal Tea Bridal Shower Blog Hop!” Read this with your very best British accent (since I can’t do it)…. 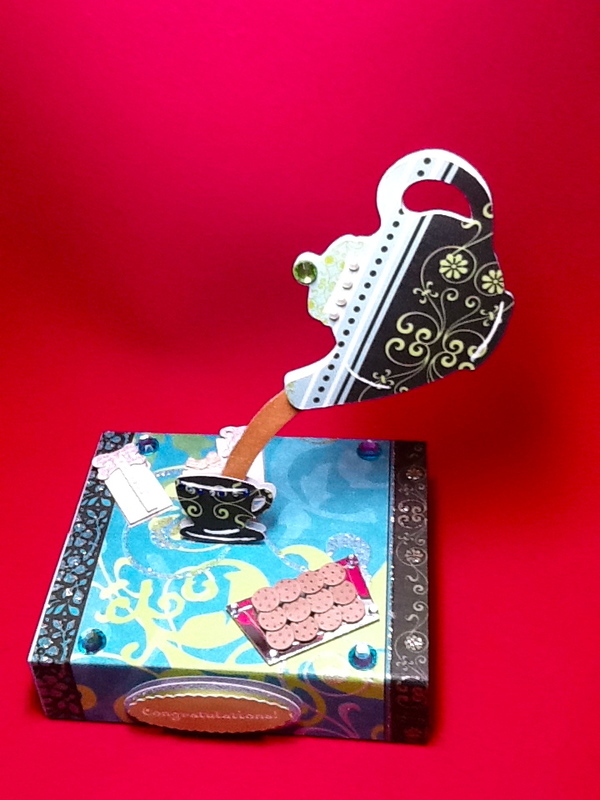 So follow along to 25 other tea hoppers as they show papercrafting projects made in celebration of the Royal marriage of Prince William and his lovely Kate Middleton. I personally, am not planning on staying up, but may tivo to see some images…. I hadn’t been following along, so in trying to come up with an idea, hubby suggested I do it in the colors of the wedding… So I googled & evidently you can bet on the colors of the wedding… So, I decided to use my own colors!!!! 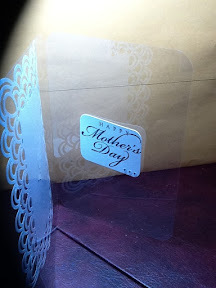 I did have to put a piece of clear plastic in to keep it stiff, since the paper i used got bent at the crease…. Of course I have blog candy, because what’s a wedding without presents??? Thanks so much for visiting & have a great rest of your week! If you stay up to watch the wedding, be sure to have some caffeine!!! I forget how lovely acrylic cards can be. This is so beautiful! Congratulations Lillian! Send me an email and I’ll send you the code for the app! Be sure to come back later this week as I’m in 2 blog hops!! And I’ll have prizes for getting to 500 followers! 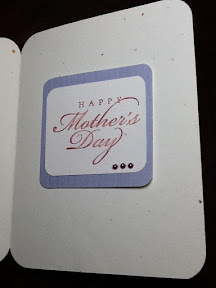 Welcome to the Mother’s Day blog hop. We are making some great projects that will hopefully inspire you to make some beautiful crafts for whomever you cherish on Mother’s Day. If you came here from Lizthen you are in the right place. If not start at the beginning at Jamie’s blog for all the wonderful projects lined up for you today. Thanks to Jamie for hosting the hop! What a great way to celebrate mom! I know I really love & appreciate my mom! I used copics & gems too…..
It’s difficult to see but the blue paper is glitter paper. I haven’t mastered photography!!! Except for figuring out the punch, this was a relatively easy card! If you’re new to my blog, be sure to become a follower. 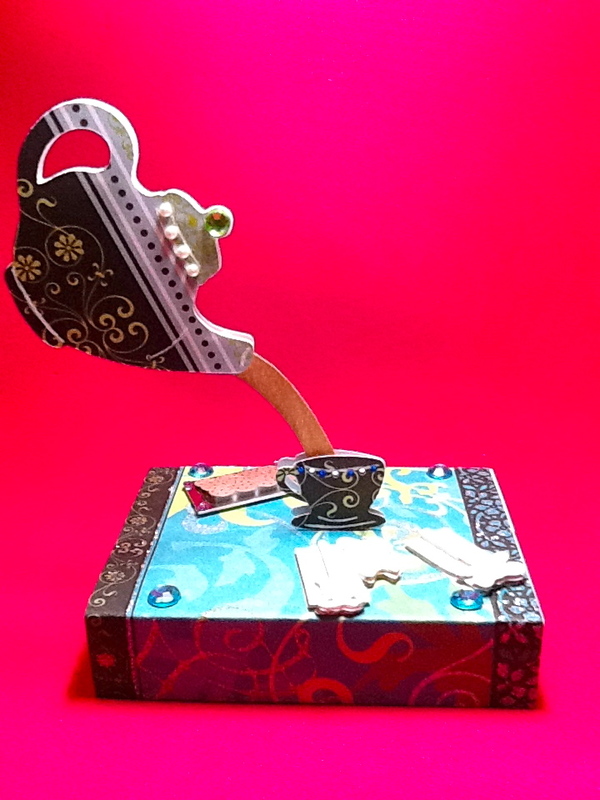 Crafty Card Gallery is an iPhone app (works on iPad and iPod Touch) that is now available for Android Phones. 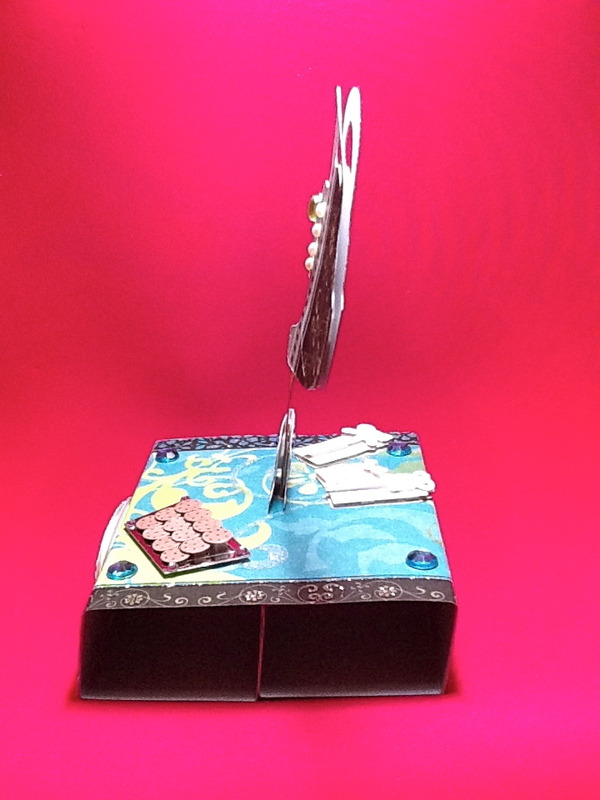 It is a card gallery for handmade cards. You can follow great designers, and look for ideas. It’s updated monthly so there’s always new great content for you… New update was just released – over 500 cards! If you’re buying mom some technology, why not load the app on there for her to enjoy??? How to enter to win? Become a follower and leave a comment. 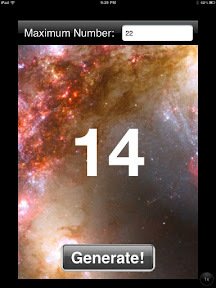 I will select the winner Monday night using my random number generator app from all comments for the weekend. Thanks so much for visiting & have a great weekend!! Hi! Sorry I didn’t post this Monday night…. 22 – no picture of random # because couldn’t get that to work…. Welcome to the think spring blog hop! The hop is being hosted by the fabulous Jessica- http://thecreativestamperspot.blogspot.com/. You should have come from Do-Bea. Jessica asked us to share What we most look forward to in the spring? I love going to Napa, and going to nursery’s with my husband, and looking at the beautiful flowers & Japanese maple trees… We just went & did that last Saturday! 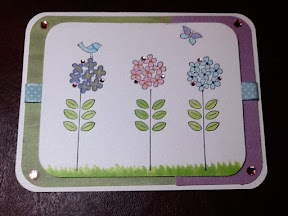 So here’s my project – a spring birthday card! 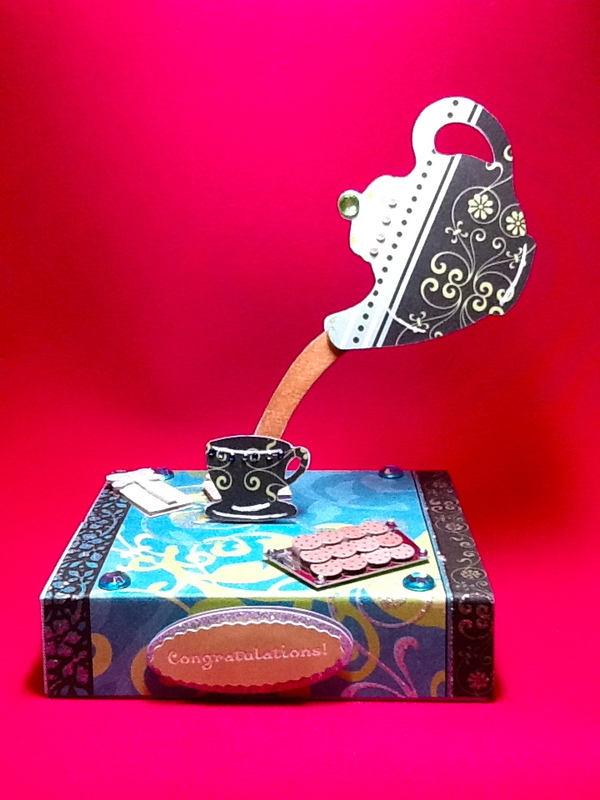 Supplies: latte stack paper, stampin up sweet simmer stamps, copics, gems, ribbon, corner chomper. Of course I have blog candy!! If you’re new to my blog, be sure to become a follower. Crafty Card Gallery is an iPhone app (works on iPad and iPod Touch) that is now available for Android Phones. 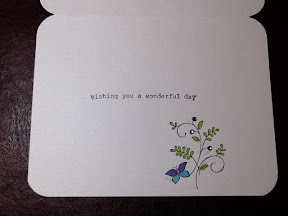 It is a card gallery for handmade cards. You can follow great designers, and look for ideas. It’s updated monthly so there’s always new great content for you… New update was just released – over 500 cards!